What does my child need to know for Kindergarten? How can I help them prepare? Two questions that I’m often asked by parents when they find out that I’m a early childhood teacher who taught in the Kindergarten classroom for nearly 10 years. The answers often surprises parents when they determine their child’s Kindergarten Readiness. Testing is a part of the current school setting, and I’m actually here to tell you it’s important. It shows the teacher where your child is in the areas of reading, math and writing and then the teacher can design curriculum and group settings that will help support your child exactly where they are and where they need to move forward to in their learning. Baseline assessments needs to be done to help give your child customized instruction. Sometimes however there are little things we can do for our child to help make them better prepared for these moments of testing that are fun, playful and engaging. My youngest just started Kindergarten this year. I started teaching Kindergarten in 1997 and in almost 20 years quite a bit has changed when it comes to Kindergarten testing and even in Kindergarten Curriculum. I know this causes quite a bit of anxiety in parents. In this video, Karen Quinn, cofounder of TestingMom.com, addresses the difference between tests given for kindergarten admissions and kindergarten readiness. Karen discusses the similarities and differences among IQ tests, achievement tests, and readiness tests. If your child is getting ready to enter kindergarten, a gifted and talented program, or a private school, this video is a must-watch. I’ve been looking for a resource to help me stay focused with preparing my daughter for Kindergarten and discovered a program I think you’ll find pretty helpful too. Tips for Testing in Kindergarten and the little things that parents can do to help prepare their child for school. Giving our children the skills and strategies to be prepared for testing that comes their way gives them such an advantage in school and frankly in life. Recently a program called TestingMom.com reached out to me to share about their program available for parents to help prepare their children for all life’s test. 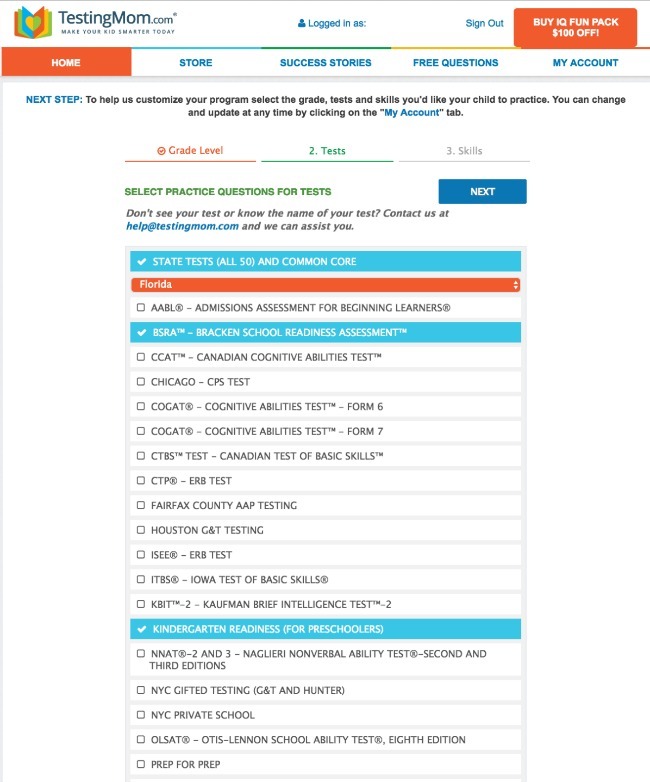 TestingMom.com is an accredited online learning platform that offers test prep and skill-building materials for students aged pre-K through 8th grade. So many times I see programs focused on the older kids and I have to say starting young is so crucial as they set up a strong foundation for academic success. TestingMom.com is the premier online resource to help parents prepare their child for testing & offer skill-building programs. Featured in Forbes, The View & ABC News. 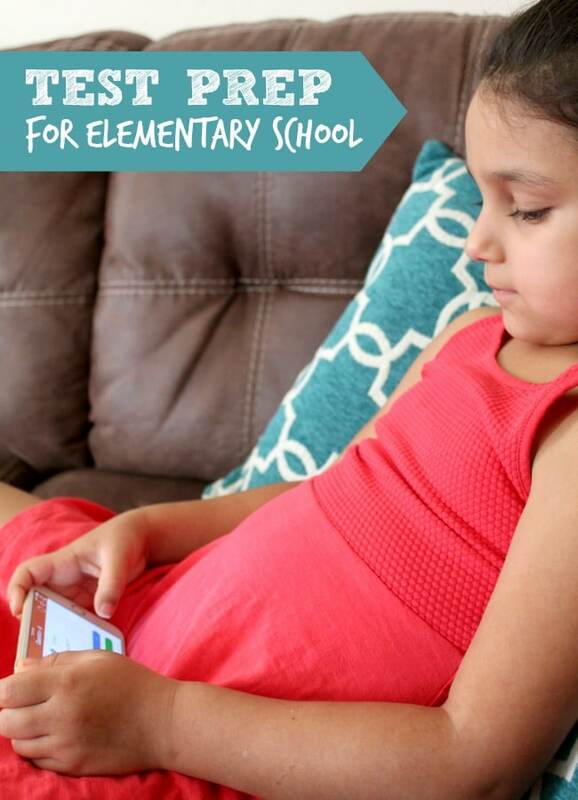 I’ve been logging into TestingMom.com with my 5 year daughter on my laptop and sometimes on my phone each day for the past few weeks. She’s been working on questions that have been predetermined for her from the program I selected for her from a number of choices at TestingMom.com. My 10 year old will be starting a program I’m setting up for her this fall too as she prepares for Middle School. I’ve already started to see her finding the different ways questions are asked and things to look for strategically. I love that TestingMom.com recommends coming up with a fun name for your time together such as “brain games” or “smart time.” Keep each session light and giggly and entertaining. Kids learn best when they are having fun. Notice the types of questions that are asked on tests and find your own engaging ways to expose your child to this material through your daily play and interactions. Over the years I’ve referred many children to be screened for the gifted program at our school, including my own children. Often times I’ve wondered if there was a way to help them be better prepared for the time they were called in for the screening. A few times I would have students that would miss being accepted based on just a few points. When looking on TestingMom.com I noticed that they focus quite bit on gifted children and helping to met their needs. Something this mom and teacher is excited to see… an amazing program available to help prepare for the Gifted Test. The Cognitive Abilities Test™ or CogAt Test ® is a cognitive test used by many school districts to qualify children for their gifted programs, and getting a great score on it can have tremendous ramifications for your child’s future. It is not an achievement test or an intelligence test. The test assesses reasoning and problem solving abilities in the key areas verbal, math and non-verbal or spatial. TestingMom.com provides test prep for this and many more assessments. In fact on TestingMom.com they offer over 100,000 challenging practice questions, interactive games, and fun activities for the most popular tests administered to children in all 50 states. Somehow I personally feel that helping our kids tackle the unknown with a few test prep opportunities seems like such a huge advantage for a child. One thing that for me almost seemed like a bonus option is that your Membership includes access to over 30 premium educational websites that TestingMom.com has partnered with through their Skill Building Academy. 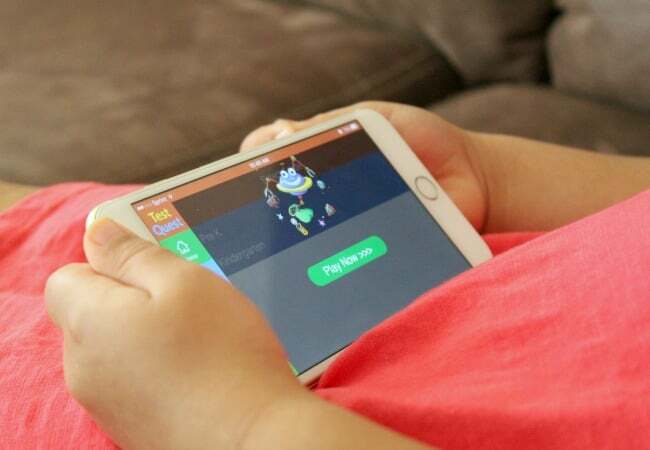 Searching around the internet, trying to find the best options out there is time consuming, challenging and costly, through TestingMom.com they are filtering the best educational online games and providing it to you as part of your membership. So cool! I’ve started to see some after school clubs and programs popping up recently to help expand your child’s base knowledge of concepts not always taught in schools but needed for academic success. I was excited to see that TestingMom.com partner programs are designed to teach your kids an array of valuable skills that can’t be found in schools, including financial literacy, computer programming, and chess. Through the resources they provide you can also use them to help your child unwind by watching educational films, reading about current events, or listening to public radio programs curated especially for kids. Even with my own teaching degree, I find it hard to keep up with all of the amazing resources out there. I love that Testing Mom.com is searching for this for me so I know I can share access to it with my child and they are getting the best possible resources. Go check out TestingMom.com and see what a difference it can make for your child! What challenges do you struggle with the most when comes to testing?